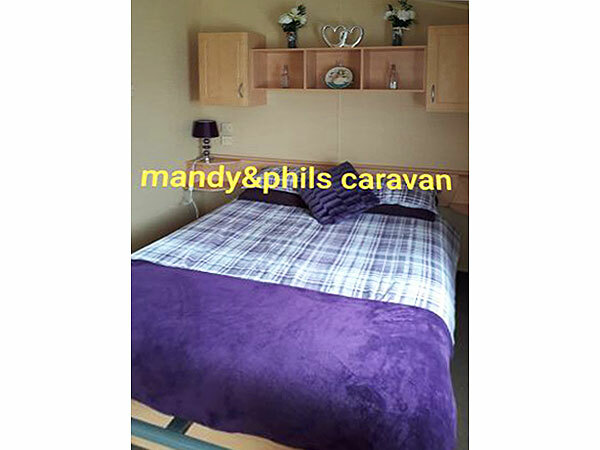 Our caravan is 2 bed, sleeps 6. 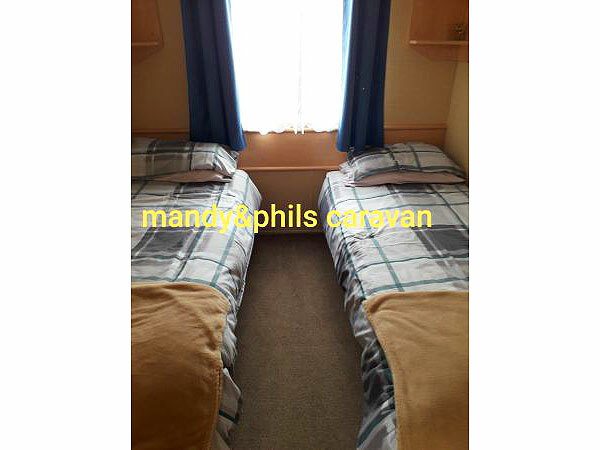 It is fully equipped including fresh bedding and towels on arrival - also tea, coffee, sugar & milk supplied to all our guests.. 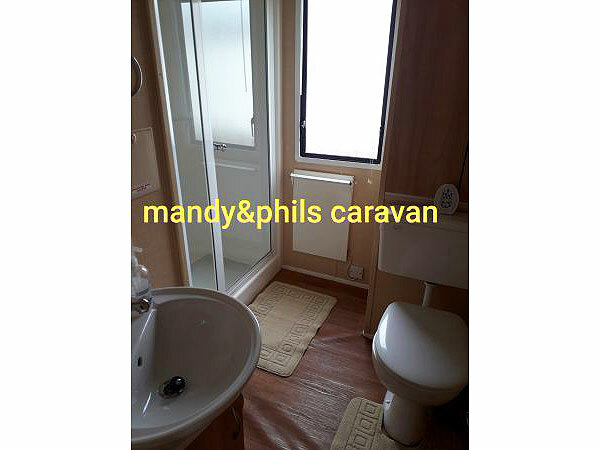 This is a pet friendly caravan (no extra charge), no smoking. 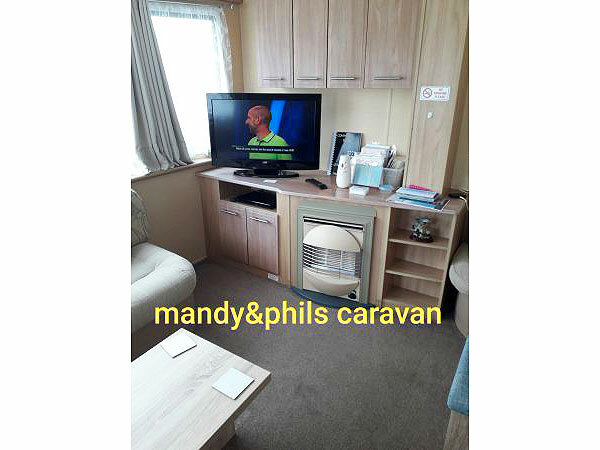 Our caravan is situated in a quiet part of the park but is still only a 2 minute walk to the swimming pool & entertainment complex.passes are not included in any of our prices but can be purchased at reception.CHECK IN BY 3PM & CHECK OUT AT 11AM.loyalty discount to returning guests. £50 required to secure booking date(returned on departure after check)full balance to be paid within 4 weeks of arrival date.payments to be paid by bank transfer,please note we DON'T deal with PAYPAL.Deposit non returnable if you cancel. 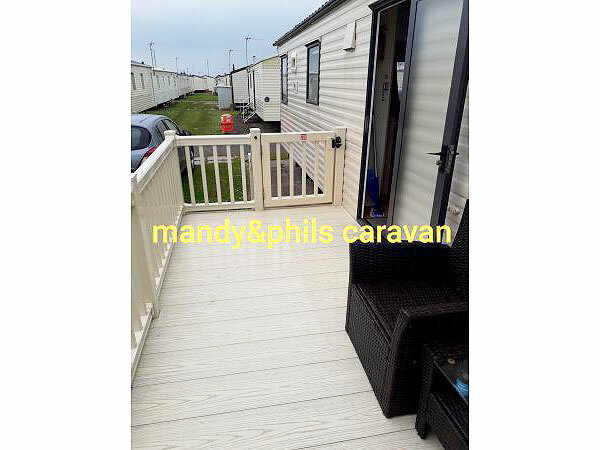 As part of the Lyons Holiday Park group, the Lyons Robin Hood Holiday Park lives up to the high standards set for comfort, safety, beauty and value. Understanding the importance of your holiday and having an enviable reputation for exceeding all our visitors’ expectations. The Lyons Robin Hood is a park that offers a choice of an action packed holiday or serenity and calm depending on your preference. 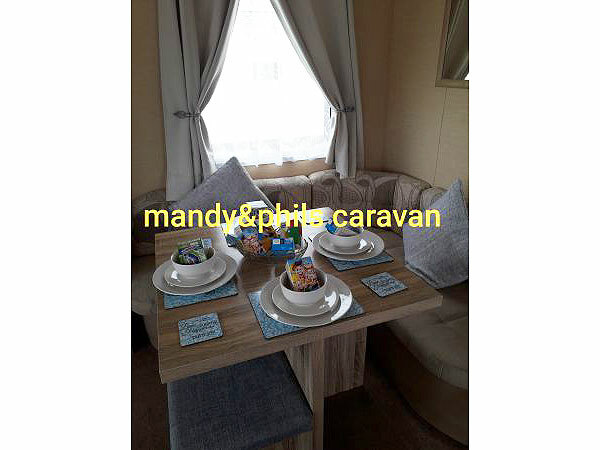 Nestled between the two popular holiday destinations of Rhyl and Prestatyn, there is as much to do in the surrounding area as there is on the park, with the golden sands of Ffrith Beach, a funfair, entertainment centres and golf courses all within easy reach. Lyons Robin Hood offers you everything you need for a fabulous fun-packed holiday. We take as much pride in our level of service as we do in the fantastic facilities on offer for you and your family. When you book your holiday on this prestigious park you can enjoy the very best in entertainment, from the choice of bars and cabaret lounge, kiddies' play areas and a family leisure complex which includes a new, exciting ten-pin bowling alley. The indoor heated swimming pool with sauna and Jacuzzi is the perfect place to unwind, have fun or get fit. You will have all you need for a fun-packed break. Whether you choose to stay for a short break or main holiday, Lyons Robin hood offers the ultimate in family fun. As well as these facilities, Lyons Robin Hood is able to offer a more tranquil area of the park for those holiday makers who prefer just to relax and "get away from it all"; the best of both worlds and the freedom to choose. 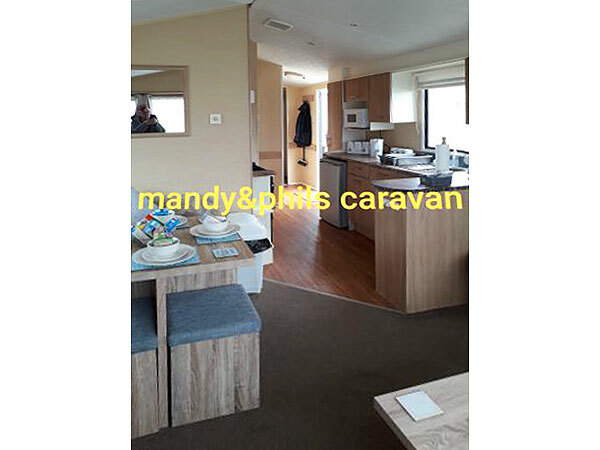 This area of north Wales is unmatched in natural beauty, from the majestic silhouette of Snowdonia, to the golden sandy beaches and in to the forests that are teeming with glorious flora and fauna, this area is paradise. The surrounding towns and villages too offer historic sites, cultural delights, varied dining, a warm Welsh welcome and fascinating attractions. Sporting facilities abound with golf courses, trout fishing, water sports, riding, cycling and walks that are a feast for your eyes as well as your health. 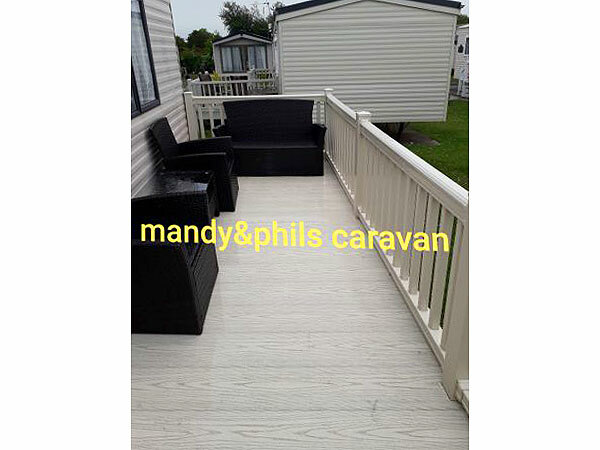 Lyons Holiday Parks chose this area to site The Lyons Robin Hood because we understand our visitors and this is everything you could hope for in a holiday. When the weather is not so good, the Sealife Centre at Rhyl, interesting historic buildings and indoor activities will ensure not a day is wasted. Or you could spend some wonderful social time here in the park; there is so much to choose from you may never want to leave.